Centerline Engineered Solutions understands the importance of each investment decision that our customer makes. We will provide you with an answer to your problem or an advancement of your opportunity. We provide all aspects of engineering and project management services to design, build, or rebuild industrial equipment. From conceptual design through commissioning at your site, we provide the highest level of customer service. We specialize in turnkey projects. Eastern Shutters Inc. is a part of Centerline Engineered Solutions. Eastern Shutters Inc. provides customized storm rated shutters for your home and business. Contact us for customized solutions in all sizes and colors. We build an automated rotary shear machine for industrial applications. The material from the reel can be 24” to 80” in width. The machine automatically removes the material from the reel and cuts the material at specified dimensions within +/-1/8” tolerances. The machine operates up to 40 feet/minute. Types of material would include polycarbonate, plastics, rubber, or any material that can be stored and removed from a circular reel. This is a turnkey machine utilizing an Allen-Bradley PLC and HMI interface. 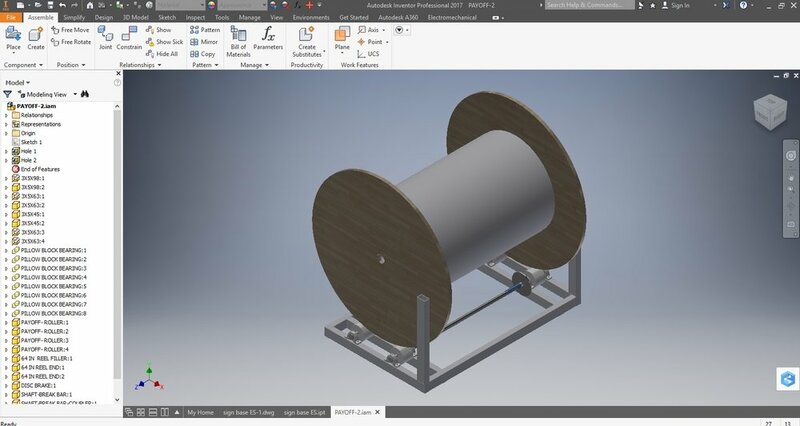 Automate the movement of large equipment within your operation so your employees are no longer put at risk by manually moving oversized parts and assemblies. 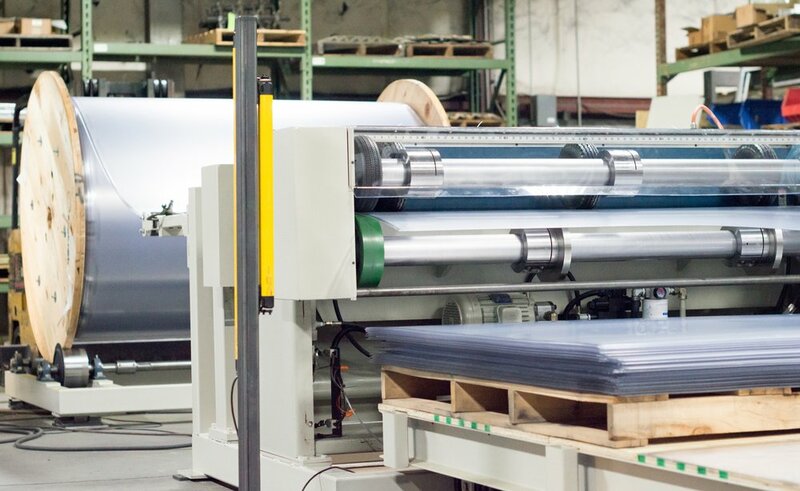 When you need a machine to automate a repetitive task in order to reduce material costs or reduce labor costs, we can provide a solution. We design equipment that does not exist in order to fit your specific requirements. We do all of the engineering and equipment integration for this type of turnkey project. This can supplement your workforce to allow your engineering and maintenance resources to focus on more critical production needs. When a piece of industrial equipment has passed its useful life expectancy and the cost for a replacement model from an OEM is prohibitive, we will reverse engineer the equipment and refurbish the equipment. We will upgrade the mechanical and electrical components to current industrial operating standards. This approach is substantially less than OEM costs and provides a platform for future rebuilds to maximize your productivity. We design systems that allow your employees to accurately and repeatably move materials from 25 pounds to a 1,000 pounds in a safe and efficient manner. We provide solutions that make sense for the business and for the employee. We provide design, build, and installation services for clients who need access to impossible to reach areas in a way that is safe and cost effective. We design industrial staircases, platforms, and catwalks to fit your specific need. Transportation Solutions: When you need to load a military tank onto an aircraft, we can build a solution. 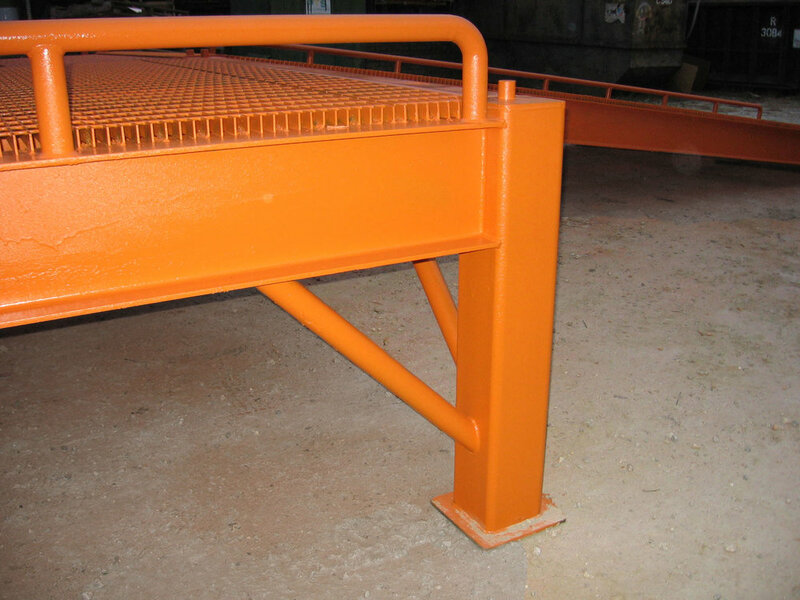 We can design platforms and walk rails for your specific need.